The Shangri-La brand began in 1971 with its first hotel in Singapore. With over 95 hotels and resorts throughout Asia Pacific, North America, the Middle East, and Europe, the Hong Kong-based Shangri-La group has over 40,000 rooms and over 40,000 employees. Additionally, new hotels are under development across Asia, including China, Cambodia, Hong Kong, Indonesia, Malaysia, Myanmar, Saudi Arabia and Sri Lanka. The group has a market capitalization value of over USD 5.1 billion. Shangri-La Hotels is considered a strong and iconic leader in luxury hotel ownership and hospitality management in Asia today. The tremendous success of the Shangri-La group raises the important question: what is Shangri-La’s secret to its success? Inspired by the legendary land and mythical earthly paradise featured in James Hilton’s 1933 novel, Lost Horizon – which evoked a safe haven from a disquieting and alienating world – the name Shangri-La encapsulates the serenity and service for which the hotels and resorts are renowned worldwide. James Hilton described Shangri-La as a lamasery which lived by the same values that Shangri-La Hotels and Resorts espouse: humility, respect, courtesy, helpfulness, selflessness, and, above all, sincerity. These are virtues deep-seated in the Asian culture, which is a core element of the Shangri-La brand identity. In fact, the brand’s logo is in the shape of an “S” which resembles uniquely Asian architectural forms, suggestive of majestic mountains reflected in the waters of a tranquil lake. “To treat a stranger as one of our own” characterizes the hospitality experience that customers can expect from the Shangri-La brand. All across the world, the Shangri-La brand ensures that its customers receive a consistent level of world-class service, amidst tranquil surroundings decked in inspirational architecture and design. The group believes that the element which makes each guest’s stay memorable is hospitality from the heart, and this is reflected across all of its brands and properties. Today, the Shangri-La group brand architecture encompasses one corporate brand and four sub-brands, each catering to different sets of target customers and at different price points. Shangri-La Hotels: This is Shangri-La’s high-end hotel brand – five-star luxury properties with premier city addresses. The experience from a Shangri-La Hotel is characterized by world-class service, beautiful architecture and design, and the finest dining experiences. For example, Shangri-La Hotel Singapore is set amidst 15 acres of lush greenery with a distinctive waterfall that makes it stand out amongst other properties in the city. It also houses award-winning gourmet restaurants The Line and Shang Palace, and Singapore’s first CHI Spa. Shangri-La Resorts: Shangri-La Resorts is another high-end brand. The resorts target travellers and families by offering relaxing and engaging vacations in exotic destinations all around the world. The sub-brand focuses on providing guests with a range of vibrant cultural experiences, recreational and rejuvenation activities amidst the natural splendour of a tranquil, tropical retreat. For example, Shangri-La Villingili Resort & Spa in Male, Maldives offer guests a custom-made dining experience at an outdoor location, including a lunch on a luxury yacht out at sea, or a romantic dinner in the jungle. Traders Hotels: The Traders Hotels sub-brand targets the business traveller with a vibrant yet professional setting. Located mostly in the business hubs of each city, Traders Hotels focus on providing guests with smart functionality for work, rest and play. The Traders Hotel Abu Dhabi is located in the Qaryat Al Beri complex and offers business travellers facilities such as 24-hour IT butlers, foreign exchange counters, and ticketing and travel counters. Kerry Hotels: The Kerry Hotel sub-brand is a five-star brand that was first launched in Shanghai and Beijing in 2011. It targets the traveller who is looking for a vibrant, spirited, inspirational and lively experience. It also stands out with its enthusiastic and intuitive service. As an illustration, Kerry Hotel Hong Kong is situated at the heart of Hung Horn Bay, Kowloon’s vibrant waterfront. It prides itself on housing the largest hotel meeting, event and catering facilities in the city, having more than 60% of rooms with Victoria harbour views and being seamlessly connected to the rest of Hong Kong. Hotel Jen: Launched in 2014, Hotel Jen is a fast-growing mid-range hotel in key locations across Asia. It focuses on offering unexpected, fun adventures and home-grown experiences to young urban adventurers, while delivering quality, comfort and value. For example, Hotel Jen Orchard Gateway in Singapore offers many intriguing experiences, including three stunning infinity rooftop pools overlooking the city skyline, indulgent massages in pool cabanas, and three sky gardens for pure rejuvenation. Shangri-La’s brand architecture is strategically planned and executed to target every type of traveller, from business travellers, individuals, couples to families. These sub-brands help Shangri-La to operate in many segments of the hospitality industry across the world. However, this is not all that Shangri-La offers. Whenever a brand gains popularity and acceptance from its target customers in its core business, the next obvious step for the brand is to charter a new course by venturing into different product lines, segments, and markets. This phenomenon seems common across industry sectors. Besides straddling many segments within the same category, Shangri-La also has offerings in related categories in the hospitality sector. The group also manages two clubs – Aberdeen Marina Club in Hong Kong and Xili Golf and Country Club in Shenzhen, China. Founded in 1984, the Aberdeen Marina Club operates seven restaurants and ten banqueting venues with a huge range of sporting and family oriented facilities, including an ice-skating rink, Adventure Zone and a Bowling Alley. Consistently ranked as one of the best-maintained golf courses in China, The Xili Golf and Country Club was founded in 1995 and incorporates elements of natural beauty and offers a challenging but rewarding golf experience. By leveraging its deep experience in the travel and hospitality industry and its winning formula in providing impeccable service and hospitality from the heart, Shangri-La has been able to effectively offer unparalleled experiences to its club members. Shangri-La is truly a success story of classic brand management – appealing to people through the entire brand experience and philosophy, rather than only through its property offerings. Most communications in the luxury industry highlight the brand’s hardware (interiors, rooms, reception, restaurants, etc.) but Shangri-La found that it often bored business travellers. Instead, admiration and brand loyalty should be won through the heart and more emotional appeals. Since the start, Shangri-La has always used campaign advertising as a main communication medium. Once in a while, it launches branding initiatives on a large and global scale to reinforce the Shangri-La experience to the public. In 2010, Shangri-La, together with global ad agency Ogilvy, developed a new campaign “It’s In Our Nature” that broke category norms and won global awards. It needed to bypass the sophisticated business traveller’s cynicism, to awaken and force them to reassess their choices. Heavy in print and on TV, the advertising and new communication platform spoke to the heart with metaphors of kindness – stories of ultimate hospitality offered to stranded humans. The three-minute TV commercial shows an exhausted traveller, wandering alone in snowy wilderness. He collapses, not expecting to rise again. But the wolves which have been tracking him warm him with the heat of their bodies. The line, “There is no greater act of hospitality than to embrace a stranger as one’s own. Shangri-La. It’s in our nature,” encapsulated the idea. Moving forward, Shangri-La can continue using campaign advertising as its main communication medium, but it needs to think of how to engage its target consumers better especially as society gets increasingly digital. The group has made a good move to launch an app to allow its guests to gain information and give feedback instantaneously during their stay. It has also launched free WiFi for all its properties worldwide, leading to a boost in the guest experience. Shangri-La can also explore doing video tours throughout its properties, highlighting the group’s unique selling proposition – its hospitality from the heart and its unique Asian heritage. It is a well-known management catchphrase to “treat your employees exactly as you want them to treat your best customers”. Being more than just a catchphrase, Shangri-La understands the results that can be reaped from this principle, and actively applies it. The brand used its new communication platform described above to inspire, instruct and guide behaviour of all its employees. Staff training was aligned around a brand manifesto printed in a pocket book to ensure they delivered an exceptional culture of warm hospitality. Upon joining Shangri-La, employees are educated on the brand’s mission statement, guiding principles and core values – which are Courtesy, Humility, Sincerity, Helpfulness and Selflessness. Since 2005, the company has been running Shangri-La Academy, its centralized employee training centre in Asia-Pacific. Staff undergo 12 weeks of classroom training in culinary arts, food and beverage service, front office organization or housekeeping operations. This is followed by 24 weeks on-the-job training at Shangri-La hotels around the region, such as in China and Singapore. A unique feature of Shangri-La’s training program is that it trains employees on different customs and beliefs – for example, employees are educated that the number ‘4’ is unlucky in Chinese customs and hence rooms are not to be allocated on level 4. Indeed, Shangri-La’s employees feel proud of their brand and are motivated to deliver – an internal employee opinion survey showed that 91 percent of employees had a favourable opinion about the company brand and their employer. Embracing big data to understand the customer: In 2009, Shangri-La faced a brand and category challenge that encapsulated luxury hotel growth globally. The financial crisis caused room supply to outstrip demand. The luxury category dropped 14 percent globally. Shangri-La was determined to grow globally, so they started analysing and gaining in-depth insights on their main customer group: premium frequent business travellers. They found that business travellers disliked the misery of always departing and arriving alone, constantly missing birthdays, weddings and other important social gatherings. Hence, Shangri-La started to work on formulating a guest-centric experience that has become a core element of its brand identity today – ensuring that guests have meaningful experiences away from home and feel comfortable in their new surroundings. This initiative is planned to be rolled out globally across all 95 properties in the Shangri-La brand architecture by end-2017. The customer findings that the brand has collected over the years have infiltrated the Shangri-La culture. A big part of how Shangri-La runs its business is based on the belief that their guests should be treated not as kings but as kin, as human beings to make the world a better place. Offering hospitality from the heart, not the rule book, thus took center-stage. The heart and humanity in every interaction constantly brought people back. Moving forward, Shangri-La needs to constantly anticipate guests’ needs and find ways to exceed customers’ expectations. In today’s world, hotels are not merely hospitality companies, but are lifestyle providers. Guests expect hotels to be providers of information relating to food, beverages, shopping and experiences around the hotel. Shangri-La will need to think of ways to bring out the best local experiences and infuse its iconic Asian heritage into them, across its global properties. Reinvigorate the customer experience: Four out of ten customers are members of Shangri-La’s loyalty programme, Golden Circle. This means that it is of paramount importance for Shangri-La to ensure that its guests are delighted on their first visit, and ensure that its loyalty program has a strong and robust enough pull factor to attract guests to come back to Shangri-La multiple times. Today’s hospitality trends seem to favour experiences over the property itself. Hence, Shangri-La needs to harness customer data collected and find out what makes customers tick in order to design the loyalty programme in a way that is appealing to customers. The management of Shangri-La also believes that everyone in the company is a marketer. It believes that the customer experience is the most powerful form of marketing that the company has, especially in the era of social media. The group’s Chief Marketing Officer (CMO) shared that it is the role of Marketing to collaborate with product and technology teams to create a unique customer experience that can be easily shared by customers. Moving forward, Shangri-La needs to build up collaborative capabilities between its teams to focus on creating a seamless customer experience. Constant need for innovation: In recent years, Shangri-La has tried to employ some innovation to its business processes. For example, in 2015 it announced the integration of virtual reality (VR) experiences into its worldwide hotel sales efforts. By using Gear VR headsets as promotional and educational tools at tradeshows, industry events and sales meetings, it enables travel advisors, meeting planners and potential clients to virtually experience Shangri-La’s global destinations instantaneously. The VR headsets are a nice touch, but Shangri-La needs to ensure a strong and robust innovation strategy in place to compete effectively in the international hospitality market. Innovation seems to have become a buzzword that is as much misused by the popular press as it is by many brands. Although innovation can be conceptualized in various ways, in this context it is used to mean a continuous, organization wide process that allows companies to simultaneously make incremental improvements to existing products and/or services, while investing in the development of breakthrough and significant inventions. Given such a nature of innovation, it is a fundamental building block of iconic brands. Leading brands create their corporate strategies with an inherent strategic element encompassing innovation. 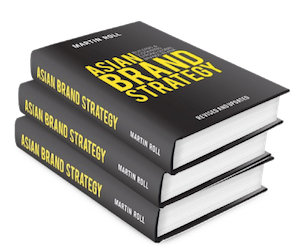 Brand strategies that are envisioned with innovation as one of the core elements affords the brand a long lasting competitive advantage that would even withstand system level shocks such as recession. For Shangri-La, innovation should not just be limited to finding new ways to excite customers and the general public. Instead, it should be extended to encompass many internal functions such as innovation in channel communication (with customers and other stakeholders), innovation in organizational cultures (work practices and internal brand practices) and innovation in implementing cost-cutting and efficiency-enhancing strategies. Firstly, innovation will allow Shangri-La to refine and redefine its core brand philosophy in line with changing customer needs. With competitive clutter in the marketplace and exposure to external shocks, the core brand promise can easily get lost. In such cases, Shangri-La has to reach out to its customers to reinforce that aspect of the brand that earned the loyalty of the customers in the first place. Secondly, innovation will allow Shangri-La to continually adapt to the changing needs of customers, thereby protecting its competitive advantage. Whenever competitors or market disruptors challenge with either lower price or imitation of the experience, innovation will allow Shangri-La to reach out to its customers in novel ways that would reiterate the core brand promise. Branding enhances shareholder value, it can become a catalyst for better leadership, it enables to drive a shared vision throughout the organization, and it can help to balance short- and long-term perspectives and performance. It is the ability of a strong brand to price at a premium over its competition. Shangri-La has successfully demonstrated that strong Asian brands and hospitality brands can be created and sustained on a global basis. As Peter Drucker said, the only two functions of any organization are innovation and marketing. Irrespective how innovative a company is, how committed the employees are, and competent the top management is, unless the company connects with the customer, success will be elusive. Top management should constantly evaluate their strategic decisions in the context of customer feedback and how the customers can help the company in co-creating value. Innovation is therefore a key factor to the future of the Shangri-La brand. Competition is intensifying across Asia, and in the upper end of the hospitality sector. More and more Asian hotel groups such as Aman, Banyan Tree, Mandarin Oriental and other global brands are gaining visibility and popularity across the world. What will earn these hotels customer loyalty and sustained profitability over time is a sustained and consistent adherence to the brand promises of service and quality – unique values and principles at the heart of all Asian cultures.